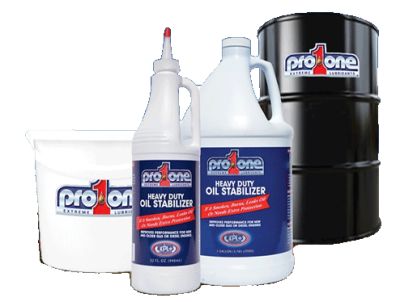 ProOne Heavy Duty Oil Stabilizer features XPL+ (Xtreme Pressure Lubrication) technology to bond to the metal, reduce friction and give protection and performance second to none! For all diesel engines and higher mileage gasoline engines. XPL+ (Xtreme Pressure Lubrication) – Metal bonding agent – Anti-wear agent – Seal conditioner detergent inhibitor – No solids, chlorine or harmful solvents! - Stop oil burning & oil leaks. - Slow blow-by, smoking & oil contamination. 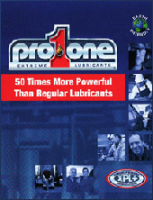 - Protect against wear to extend engine life. - Give more power with better fuel economy. - Provide dry start protection. - Easier starting at all temperatures. - Condition seals to extend life.